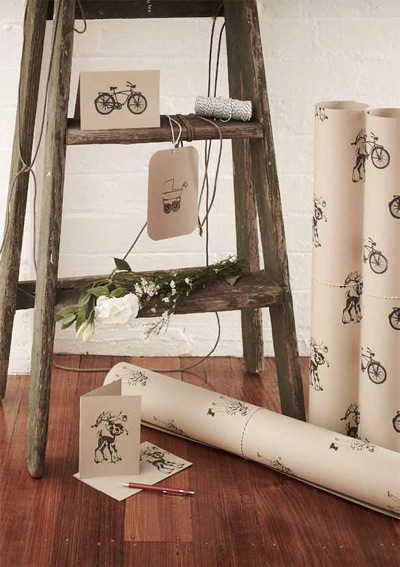 Each product is designed, hand printed and crafted in their Melbourne studio on recycled kraft paper. 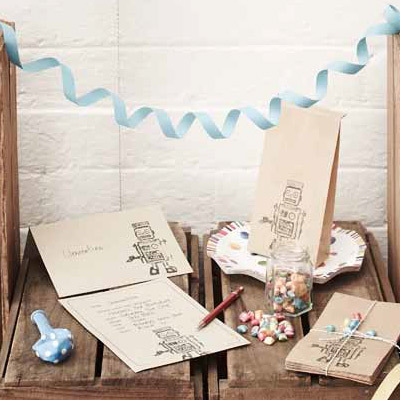 The range includes cards, tags, wrapping paper, letter-writing sets, postcards, journals, notebooks, party invitations, announcements, treat bags and thank you cards as well as a collection of seasonal products and simply lovely wedding stationery. Oh and a whole new slew of products including a pregnancy journal, pantry labels, book labels and love lunch notes. It's all very nostalgic and I love it all. I'm especially taken with the bicycle wrapping paper and the robot party pack. You could even let the kids go to town personalising it with their glitter glue stick and colouring in pencils. 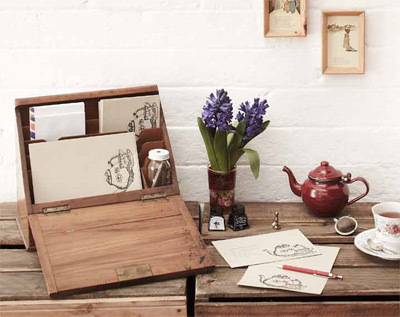 You can find Write To Me in the online store and at stockists across Australia. oooh gorgeous! I love the simplicity of the colour on kraft. The photos are lovely too, I particularly like the styling of the one with the green vinyl chair. Oh! 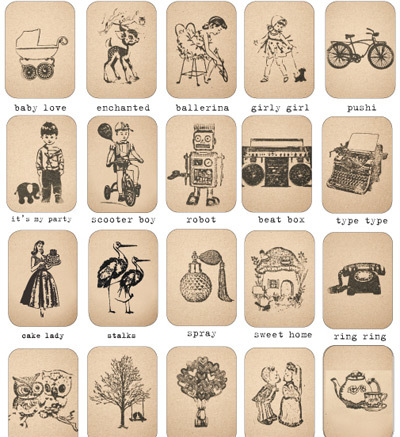 They're so cute, my favourite illustrations are the bicycle and the deer, just adorable!